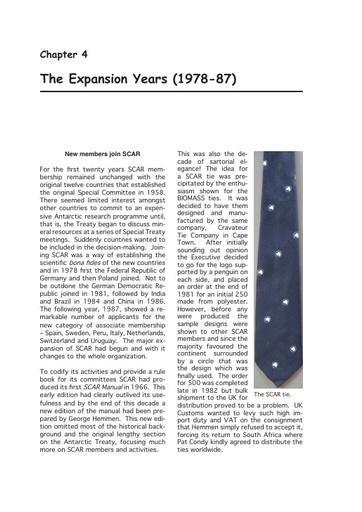 For the first twenty years SCAR membership remained unchanged with the original twelve countries that established the original Special Committee in 1958. There seemed limited interest amongst other countries to commit to an expensive Antarctic research programme until, that is, the Treaty began to discuss mineral resources at a series of Special Treaty meetings. Suddenly countries wanted to be included in the decision-making.